Today is Blog Tour Day. This blog tour is where writers and authors answer questions about their writing process. My friend Sarah Belle posted hers last week. You can check out her writing process here. I have a couple of projects going on right now (what writer doesn’t). The one that has priority is my novel, Diamond Heiress. This will be my first full length novel, my first two books were novella’s. It’s contracted with Prism Book Group and we are in the editing phase, so hopefully it will be out soon. Editing leaves very little time for writing, so it is my least favorite part of the writing process. However, it is the most necessary on the road to publication because it’s the editing that gets the polished product out for readers. In my spare time I am working on a series based in a small town in Connecticut. What do a lawyer, veterinarian, super model and two precocious five year olds have in common? That’s what I’m trying to figure out, they are still letting me know. I’ve also been dabbling in Historical Romance for the first time, I’m not sure yet if I’m cut out to write Historical but I’m giving it a try. I love romance..in books, movies and real life…watching two people meet and fall in love evokes the best feelings. However, I prefer to keep it clean, while I like the falling in love part, I don’t need to see or read their most intimate moments, even if they are fictional characters. That is how my work differs, my characters adhere to the same high moral standards I keep in my life, without losing any of the sigh making, heart melting moments of falling in love. While clean romance is definitely not mainstream, I was surprised at how many authors there are out there who write and read clean. It was refreshing to discover. I was introduced to the wonderful world of romance novels at the age of fourteen when I discovered Victoria Holt. Since then, I’ve been hooked. I’ve tried reading other genres and while they are entertaining its romance novels that hold my interest and my heart. I started writing because I could no longer find clean romance novels and I’d read Victoria Holt’s books so many times I practically have them memorized, so I decided to write my own. What started as a hobby resulted in my first book being published six years later. It’s been an exciting road. I put pen to paper and write. I do not plan, I do not outline. I start with an idea, come up with character names and then start writing. As I write I fill out character worksheets with traits as they develop. I tried outlining a couple times but that seems to stem the flow of my creativity, boxes me in. I envy those who can outline, it seems much easier. Unfortunately, my characters have minds of their own and choose to reveal themselves to me slowly, instead of being told who they are. Why do writers write? For the prestige? Not likely as most authors use a pen name and prefer to remain anonymous. For the money? Ha, that’s funny. Unless you are Danielle Steele or Nora Roberts it’s not likely and author will make much money. We write because we have ideas and characters swimming in our imagination, screaming to get out. Begging us to tell their story. That is what an awesome group of authors have done in 2013. These authors who have published their works through Prism Book Group. So far, 2014 is shaping up to be a great year with nine of Prism’s books making the Amazon best seller lists in January. Prism Book Group will always be near and dear to my heart as they are the publishing company that took a chance on me as a new author. Seven years ago, writing a book was a dream I didn’t think I would ever achieve. Five years ago I wondered if anyone else would ever read my writing so that I would know if it was any good. Three years ago the idea of becoming a published author was a dream I thought would never come true. Now, I have two novellas published and a full length novel under contract. Sixteen awesome reviews on my books and new friendships with fellow authors. The joy and satisfaction I get every time I read a review one of my readers wrote is immeasurable, even if the review isn’t that great. Just knowing that someone has read something I created is a pretty amazing thought. I have to admit that I haven’t received any bad reviews yet, which is very good, but I know one will eventually come and I hope I am prepared to see my creation ripped to pieces. I’m told all good authors have to go through it. So what are my goals as an author with Prism Book Group? Publish more books. I have a contract for a full length novel, my editor and I are working on the edits now. There is no release date yet, but hopefully it’s not to far off. If you are an aspiring author, my advice to you is keep writing. You have a great story to tell and I guarantee there will be people who will want to read it and enjoy it. To check out all of Prism Book Groups great books go to http://www.prismbookgroup.com You can also jump on the blog hop there and enter to win some great prizes. These words by Percy Bysshe Shelley remind me of what a wonderful time Spring is to fall in love, whether its with a person or a book. The grass is green, the flowers are blooming in bright vibrant colors, the birds are singing their merry song. The sun shines brighter and the days are longer, giving us more time to love. Has your heart ever skipped a beat when you read the moment the hero and heroine fall in love? Or has your heart melted when the characters first realize they love the other? Have those very characters stayed with you long after you finished reading the book? That has happened to me. For those of you who follow my blog you know that my all time favorite romance author is Judith McNaught. Anyone who loves romance needs to read at the very least one of her books, but I guarantee you will not stop at one. My favorite is Whitney My Love. I have read that book multiple times and still read it occasionally when I need a Clay and Whitney fix. It is a historical romance that will sweep you in and keep you reading. When I finished reading it the first time I actually missed the characters because they felt like old friends. She also writes contemporary romance that is just as mesmerizing. My favorites are a tie between Paradise and Perfect while Remember When is neck in neck for that top spot. I predict that in another 50 years Judith McNaughts novels will rival those of Jane Austen, with movies made for every one of them. If you could live anywhere in the world where would it be? On a beach, any beach. Favorite Literary Characters? Mr. Darcy (of course) and Clayton Westmoreland. In your wildest dreams, which author would you love to co-author a book with? Judith McNaught, she is an amazing author. Things that bring a smile to your face? My teenage daughter and my husband, occasionally our dog (I really am not a dog person) Children laughing always bring a smile to my face. Do you have a favorite saying? “Tell me who your friends are and I’ll tell you who you are.” Good friendships are so important, and not just the virtual kind. Candlelight reads is hosting the Home is Where the Heart Is Blog Hop. My entry can be found on the Prism Book Group Blog, along with several other great authors. Be sure to hop to each blog for more great reads. You’ve heard the saying “Home is Where the Heart Is.” We all have, and most of us know what constitutes home for ourselves. We all know who – or what – holds our hearts, and that is where home is for us. But, some of us may not have a home. We may be wanderers. We could be anything really. Just like our characters or the characters we’ve read about. So, eight bloggers have joined forces for four days, February 15-18, to give you an insight into what makes a home for our characters or characters we’ve read about! Some of these characters have a home. Some don’t. Candlelight Reads features all types of genre fiction rated from G – PG13, which means it’s clean, that’s my kind of novel. They also host several blog hops throughout the year. Their next one is Hearts Home which takes place in February. 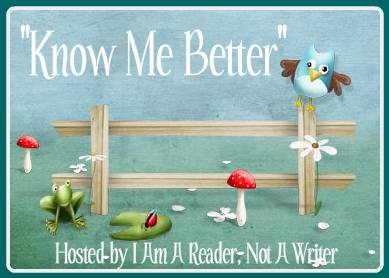 I am signed up to participate in the Love Blooms blog hop in May. Check it out. You might find a good, clean book to read. Topic to blog about–We love to talk about love. We love to read about love. What is a better time than in May, when the scent of new grass and flowers are in the air? When did you fall in love? Tell how it happened! Tell how your characters met, what attracts them to each other, and what is keeping them apart!